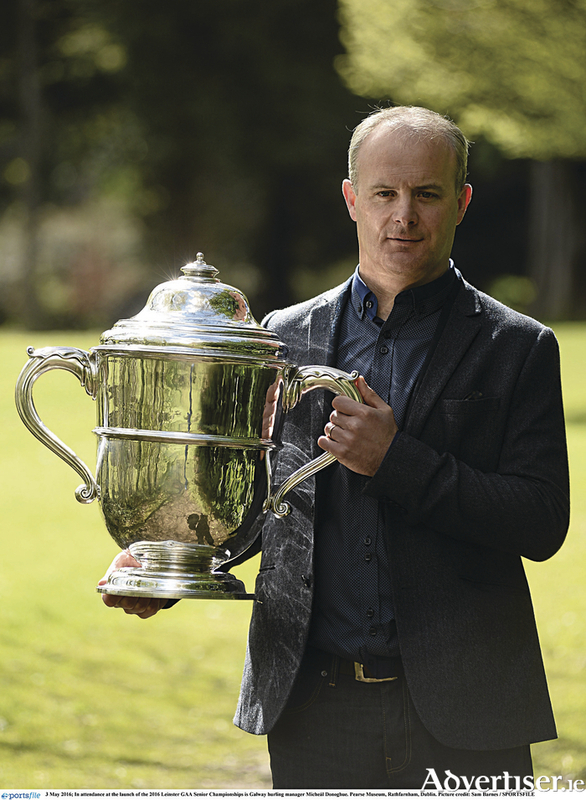 Galway team manager Micheál Donoghue pictured at the launch of the 2016 Leinster GAA Senior Championship. Galway team manager Micheál Donoghue is expecting his team to produce a strong positive performance when they take on Westmeath in Mullingar this Sunday [3.30pm]. This weekend will be Donoghue’s first championship game in charge since taking over from Anthony Cunningham last autumn and he is looking forward to the upcoming championship season. Thankfully Galway do not have any new injury worries. Cyril Donnellan had a pin removed recently and David Collins is struggling a bit with a hamstring injury and Sunday will come a bit too soon for them, however everyone else came through the few club championship games intact. Both Johnny Glynn [New York] and Gort’s Greg Lally [cruciate] are big losses for the summer. However other players will just have to step up and take on leadership roles on the field of play and within the panel. Donoghue knows that a win on Sunday is vital to get Galway’s championship season up and running. Galway are expected to announce their starting 15 for the game on Friday evening.